It pays to be smart when purchasing a home. Buyers in today’s world simply go on-line to view property listings which are just a mouse click away. Yes, it is time consuming but it pays to be smart when looking at homes on the real estate market. When you find a home you like on-line, you may be surprised (not in a good way), how differently the home actually looks when seeing it in “person” from the photos you viewed on-line. “Photoshop” type software applications and even ingenious photography with good angles can make or break a sale. Some real estate agents have mastered this marketing strategy, but there's a fine line between advertising and being completely truthful! How do you distinguish a beautiful home from an ugly one? A good home goes beyond the beauty of the home itself, factors such as the community, the condition of the home and the history of the home are also taken into consideration. Any undesirable factors that might exist with a home are not necessarily pointed out in the advertising and photos of a property! These can be such factors as the homes location , is the property conveniently located near schools; is the area prone to extreme climate damage or flood; and the availability of mortgage financing terms. This is where the value of having a REALTOR ® represent you, comes in. A trustworthy REALTOR ® will tell a client everything they are aware of in regards to the property and provide you with resources to get additional information about a property and the area. Get to know the real estate agent you're working with. 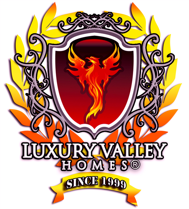 Find a professional REALTOR ® like the Luxury Valley Homes Team. Our client's happiness is more important to us than making a sale. Vincent van Gogh Art – The Housing Market – Terrifying?